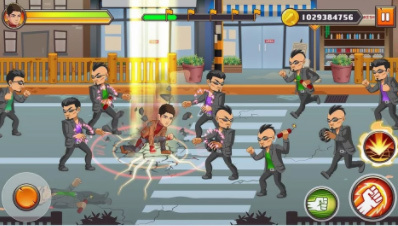 Ang Panday is a unique action game by Synergy88 Digital Inc. Enter a world threatened by the evil Lizardo. Get to know Flavio III played by Coco Martin, the latest hero to take on the title of Ang Panday. Learn Flavio’s strength and skills quick to save the day. Travel to different worlds in search of the powerful dagger Balaraw. Unleash the hero in you by mastering easy to use skills to unleash powerful combos and gain power-ups. Combat goons from Tondo, battle monsters from Philippine folklore, and defeat the mighty Lizardo. This entry was posted in Android Games, iOS Games, Mobile Games, Walkthrough and tagged Ang Panday Cheats, Ang Panday Gameplay, Ang Panday Guide, Ang Panday Hints, Ang Panday Review, Ang Panday Solutions, Ang Panday Strategy, Ang Panday Tips, Ang Panday Walkthrough by Marvin. Bookmark the permalink.